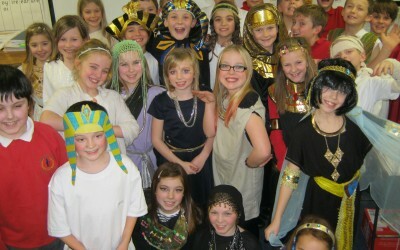 Our topic at the moment is the Ancient Egyptians in Year 5. We all dressed up last Wednesday , there was lots of bandages and toilet roll around. Then an Egyptian story teller came in to teach us about the Ancient Egyptians.